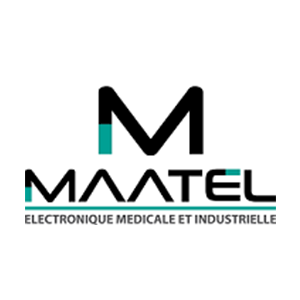 MAATEL is a polyvalent electronic engineering company and its business includes work in digital electronics, analog and power management, embedded software and mechanical design. It’s expertise lies primarily in developing industrial electronic devices with a specialization in medical products and embedded software. MAATEL has successfully developed many products, in particular, our product development capabilities encompass: RFID, microelectronics, embedded software, casing, industrialization, manufacturing, testing, quality systems, product certification, international standards and medical standards. The company has developed medical products for international markets in the EU and the USA for over 25 years. MAATEL’s engineers and technicians have thorough knowledge of and experience in, regulatory and medical device standards.